Linked to I.15.2. 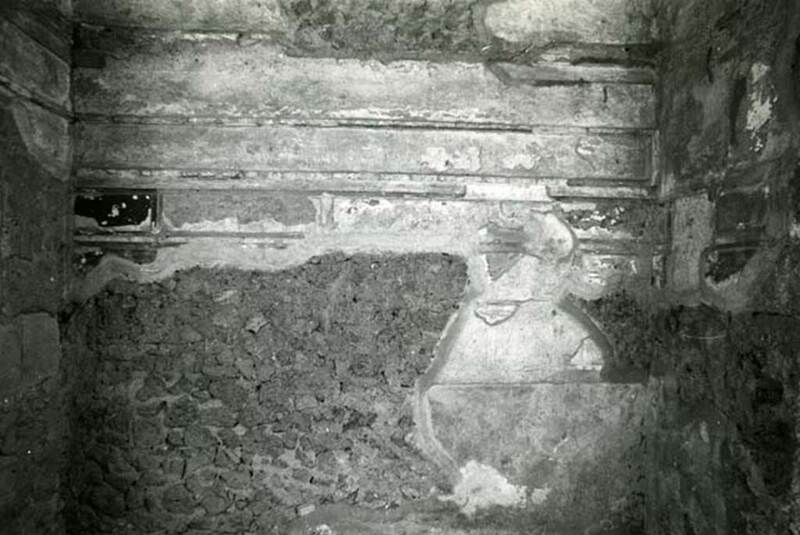 Excavated 1951-61, 1972, 1973 and 1975. (Originally, this Insula was numbered as Reg. 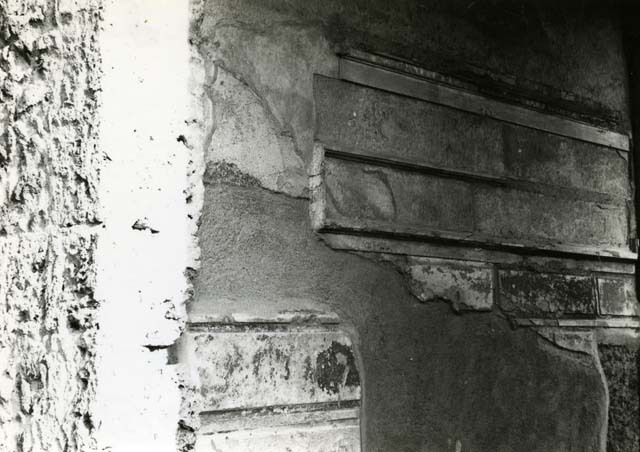 II, Insula 15, and then in the 1950’s at the moment of excavation altered to Reg I, Insula 17). I.15.3 Pompeii. May 2010. 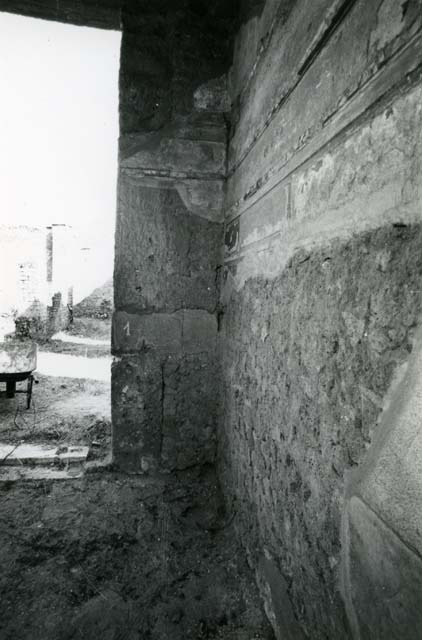 Entrance doorway and fauces room 5. 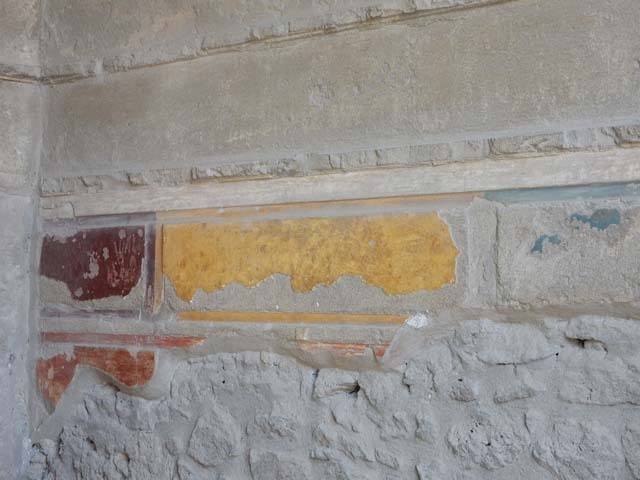 The house was named after the graffito wall painting found on the north wall of the peristyle. The painting showed a ship with the inscription “Europa”. I.15.3 Pompeii. December 2006. 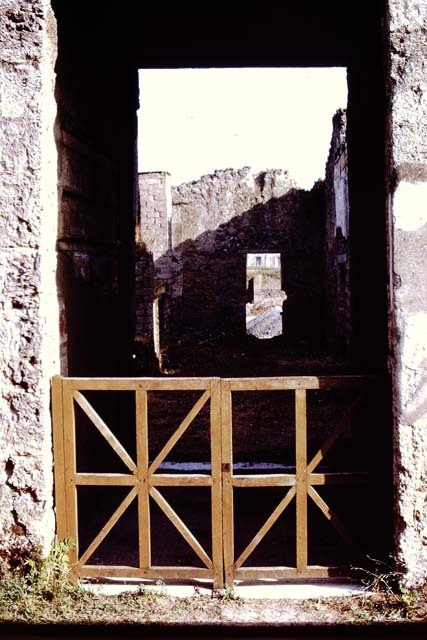 Entrance on Via di Castricio. 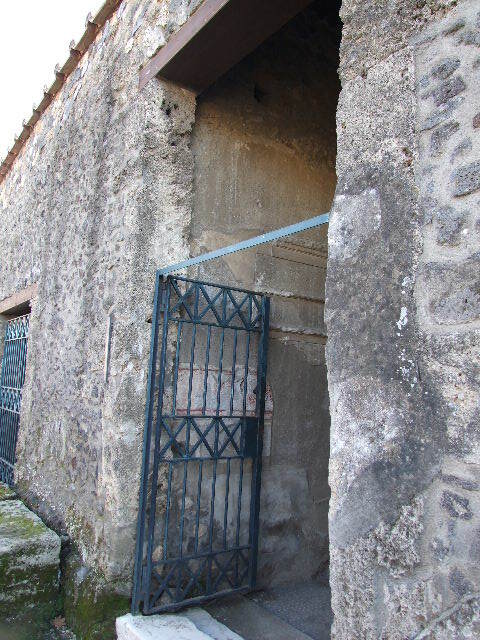 According to Varone, the inscription CIL IV 10194a was found on the left side of the entrance doorway. See Varone, A., 2002. 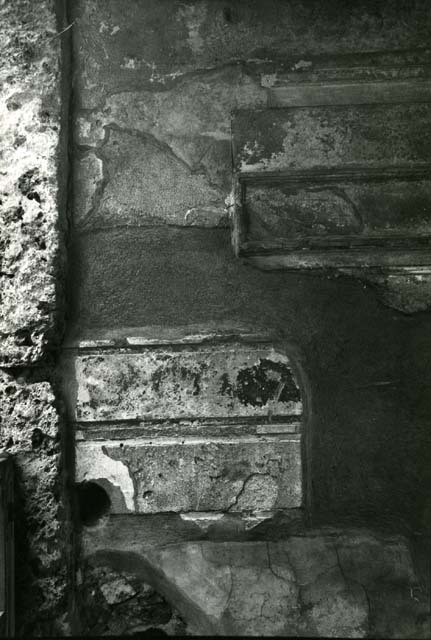 Erotica Pompeiana: Love Inscriptions on the Walls of Pompeii, Rome: L’erma di Bretschneider, (p.151). I.15.3 Pompeii. 1972. Entrance on Via di Castricio, looking east. Photo by Stanley A. Jashemski. I.15.3 Pompeii. 1968. 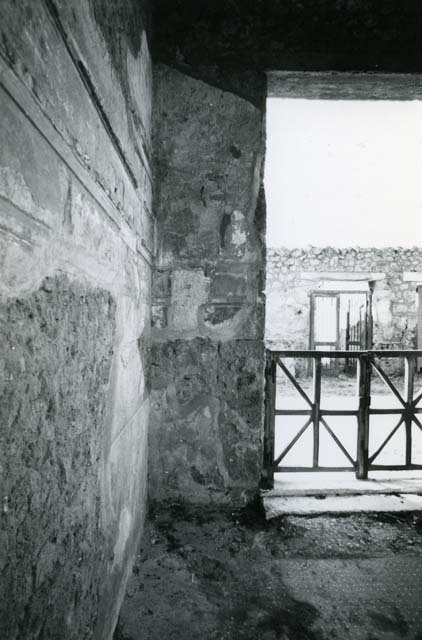 House of Ship Europa, exterior façade on west (right) of entrance doorway. Photo courtesy of Anne Laidlaw. American Academy in Rome, Photographic Archive. Laidlaw collection _P_68_3_36. I.15.3 Pompeii. 1972. Entrance on Via di Castricio, looking south. Photo by Stanley A. Jashemski. I.15.3 Pompeii. May 2015. 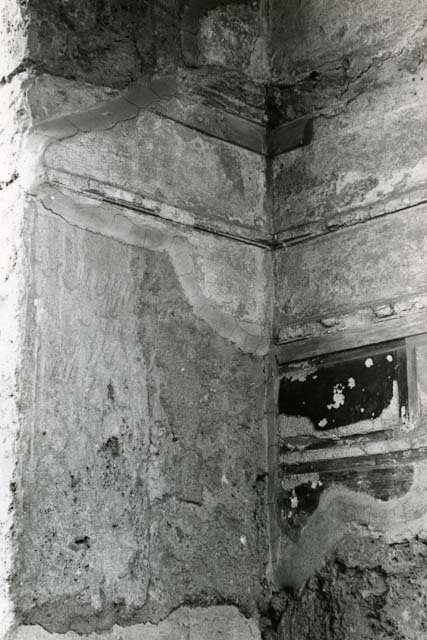 Marble door sill in entrance. Photo courtesy of Buzz Ferebee. I.15.3 Pompeii. May 2015. 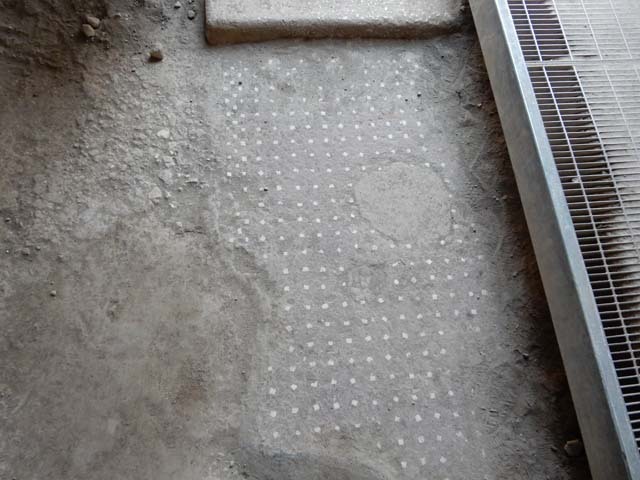 Decorated floor in entrance room 5. Photo courtesy of Buzz Ferebee. I.15.3 Pompeii. May 2015. 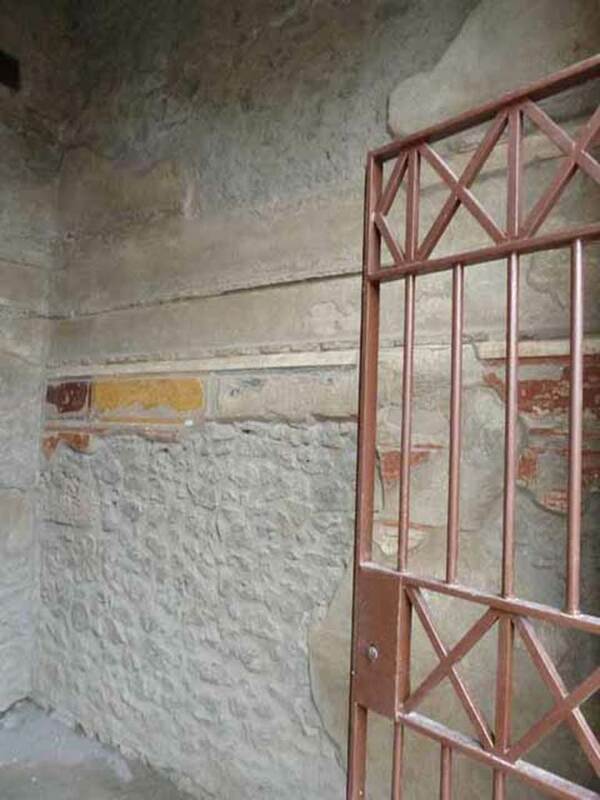 Room 5, entrance vestibule, west side. Photo courtesy of Buzz Ferebee. 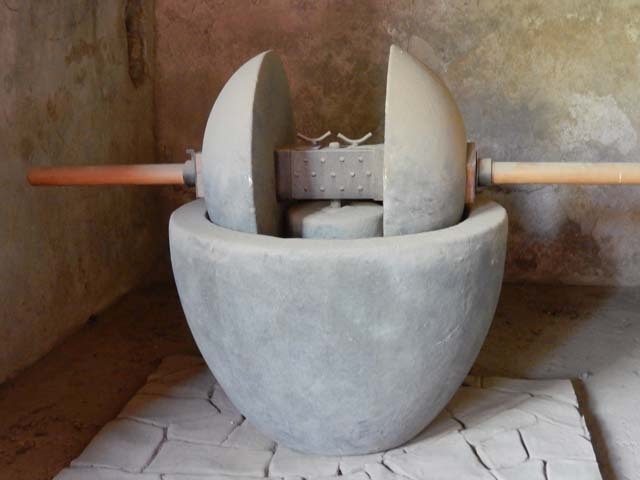 I.15.3 Pompeii. May 2010. 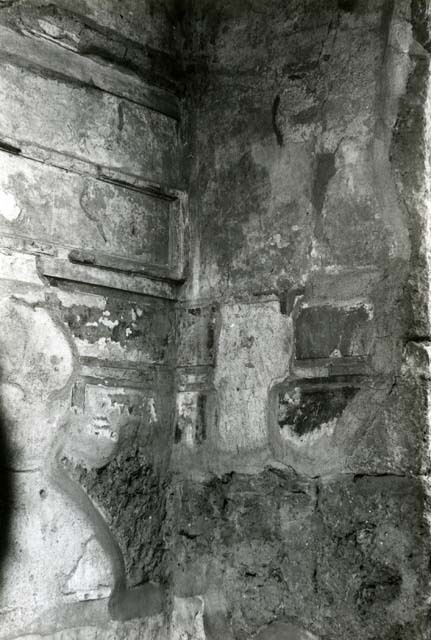 Room 5, west wall of entrance corridor. I.15.3 Pompeii. 1972. Room 5. 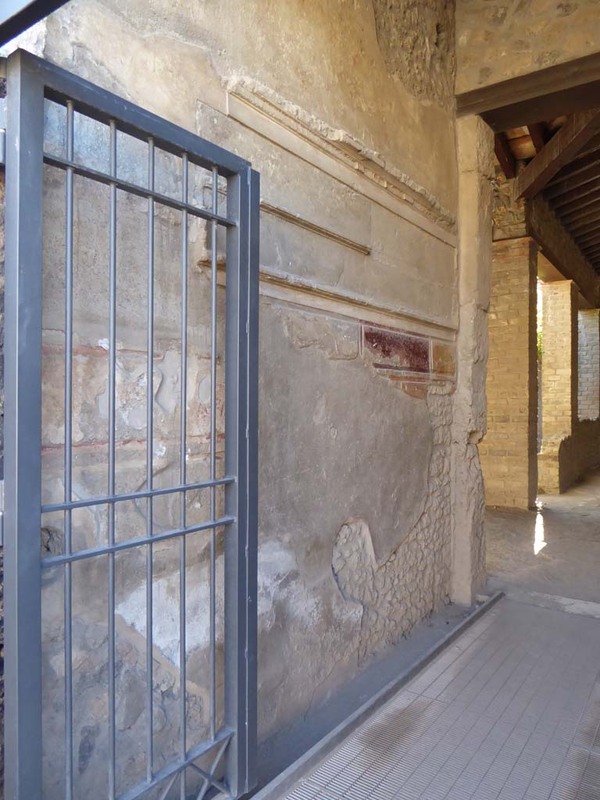 House of Ship Europa, Fauces, right W wall. Photo courtesy of Anne Laidlaw. American Academy in Rome, Photographic Archive. Laidlaw collection _P_72_17_30. I.15.3 Pompeii. May 2015. Room 5. Entrance vestibule, detail of south end of west side. Photo courtesy of Buzz Ferebee. I.15.3 Pompeii. 1972. Room 5. Entrance vestibule, detail of south end of west side. I.15.3 Pompeii. 1968. Room 5. House of Ship Europa, Nave, Fauces, right W side at S end. American Academy in Rome, Photographic Archive. Laidlaw collection _P_68_3_34. 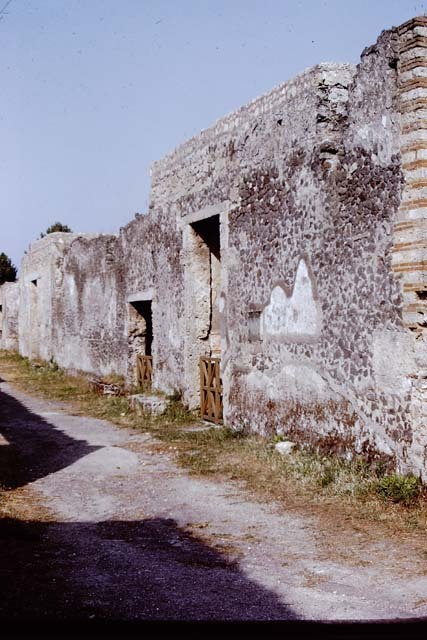 I.15.3 Pompeii. May 2015. Room 5. 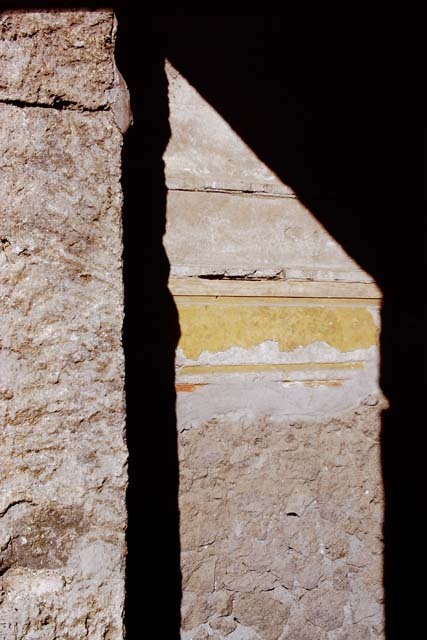 Entrance vestibule, detail of south-west corner. Photo courtesy of Buzz Ferebee. 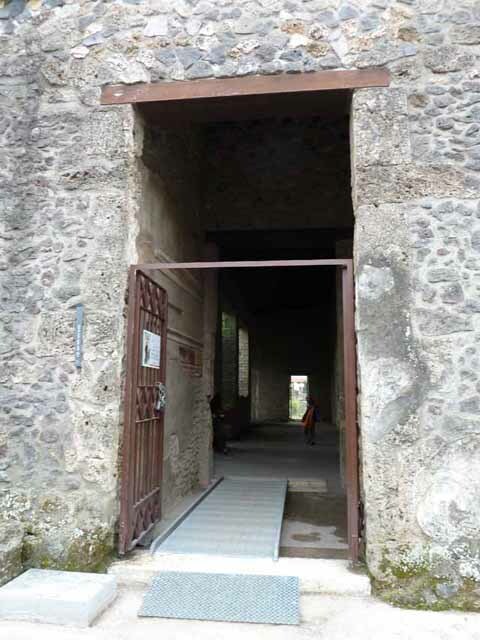 I.15.3 Pompeii. 1972. Room 5. 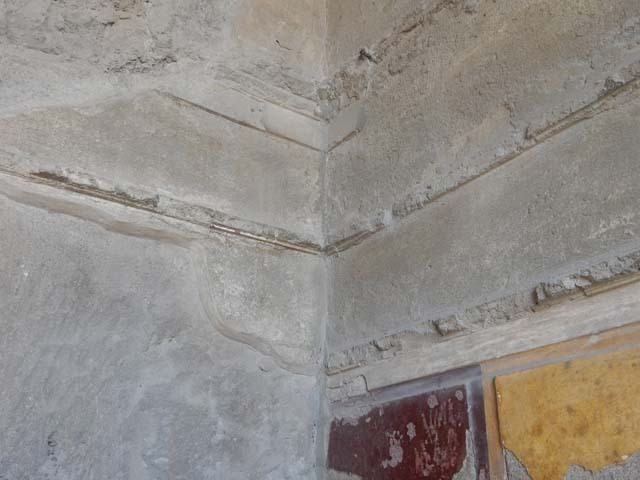 House of Ship Europa, Fauces, back S wall and SW corner. American Academy in Rome, Photographic Archive. Laidlaw collection _P_72_17_32. I.15.3 Pompeii. May 2015. Room 5. Entrance vestibule, detail of north end of west side. Photo courtesy of Buzz Ferebee. I.15.3 Pompeii. 1968. Room 5. House of Ship Europa, Nave, Fauces, right W side at N end. American Academy in Rome, Photographic Archive. Laidlaw collection _P_68_3_35. 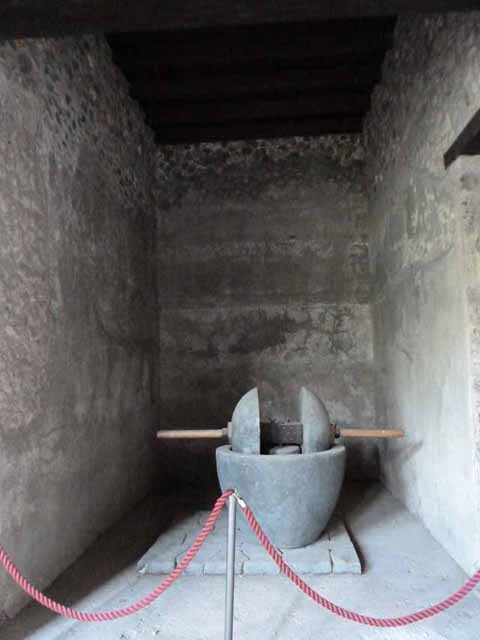 I.15.3 Pompeii. 1972. Room 5. 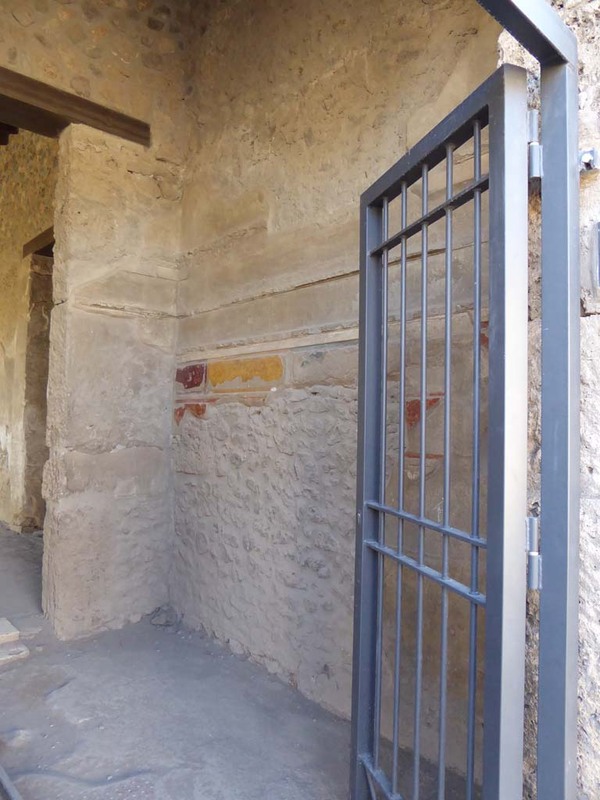 House of Ship Europa, Fauces, entrance N wall, NW corner. American Academy in Rome, Photographic Archive. Laidlaw collection _P_72_17_33. I.15.3 Pompeii. May 2015. Room 5. Entrance vestibule, east side. Photo courtesy of Buzz Ferebee. I.15.3 Pompeii. May 2010. Room 5. East wall of entrance corridor. Looking south. I.15.3 Pompeii. December 2004. Room 5. East wall of entrance corridor. Looking north. I.15.3 Pompeii. 1975. Room 5. 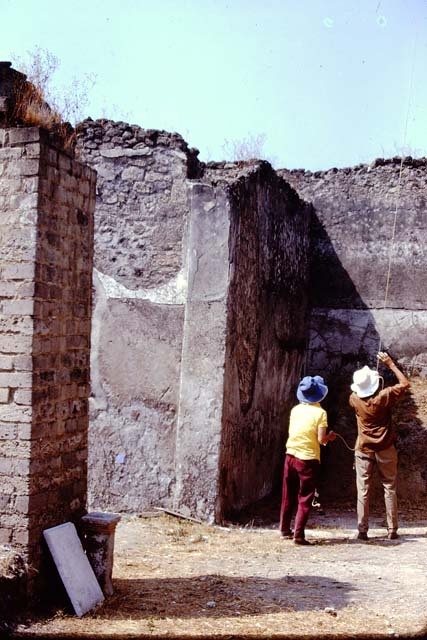 House of Ship Europa, east side of fauces, left wall. Photo courtesy of Anne Laidlaw. American Academy in Rome, Photographic Archive. Laidlaw collection _P_75_2_33. I.15.3 Pompeii. 1975. Room 5. 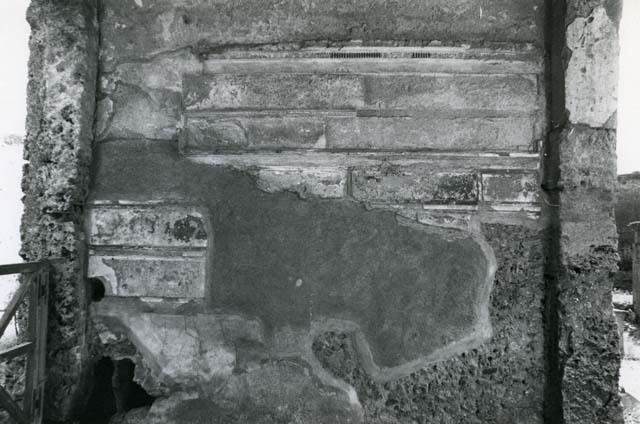 House of Ship Europa, north end of east (left) wall of entrance fauces. American Academy in Rome, Photographic Archive. Laidlaw collection _P_75_2_34. I.15.3 Pompeii. 1972. Room 5. 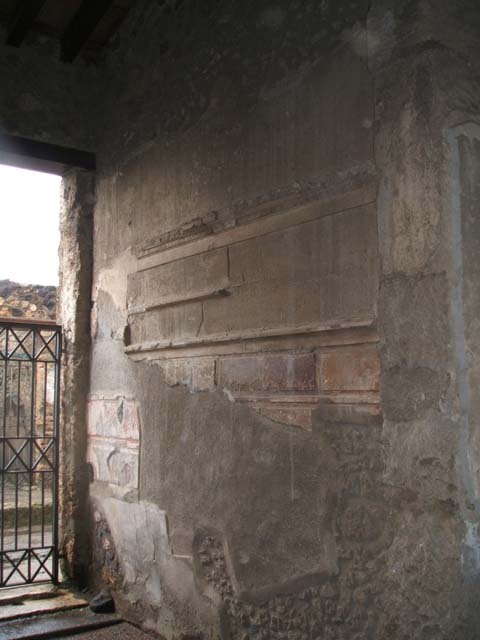 House of Ship Europa, fauces, left E wall. Photo courtesy of Anne Laidlaw. American Academy in Rome, Photographic Archive. Laidlaw collection _P_72_15_12. 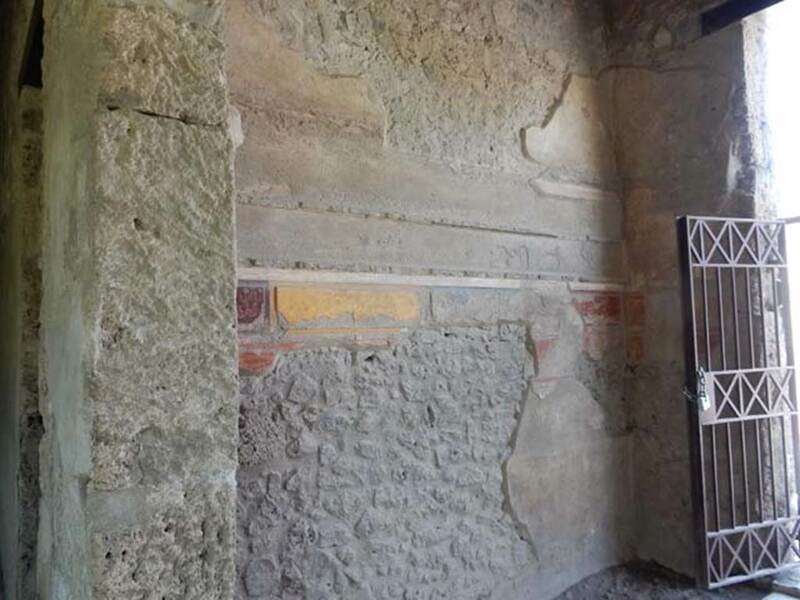 I.15.3 Pompeii. 1968. Room 5. 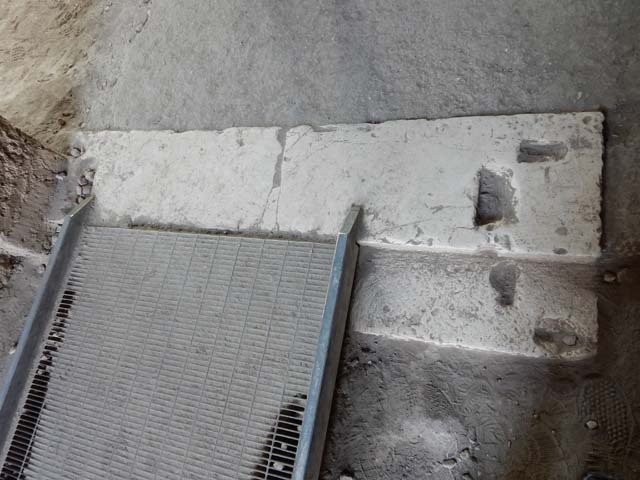 House of Ship Europa, Fauces, left E side at north end. Photo courtesy of Anne Laidlaw. American Academy in Rome, Photographic Archive. Laidlaw collection _P_68_3_32. 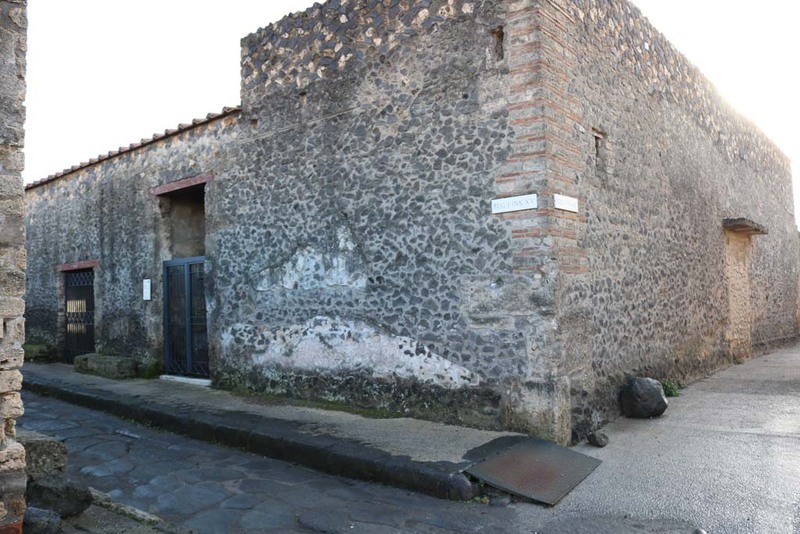 I.15.3 Pompeii. 1968. Room 5. 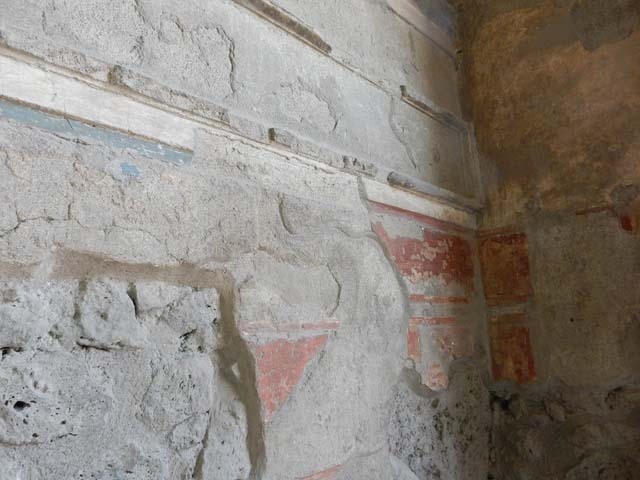 House of Ship Europa, Fauces, left E side at south end. American Academy in Rome, Photographic Archive. Laidlaw collection _P_68_3_33. I.15.3 Pompeii. May 2010. Room 8, ala on west side. I.15.3 Pompeii. May 2015. 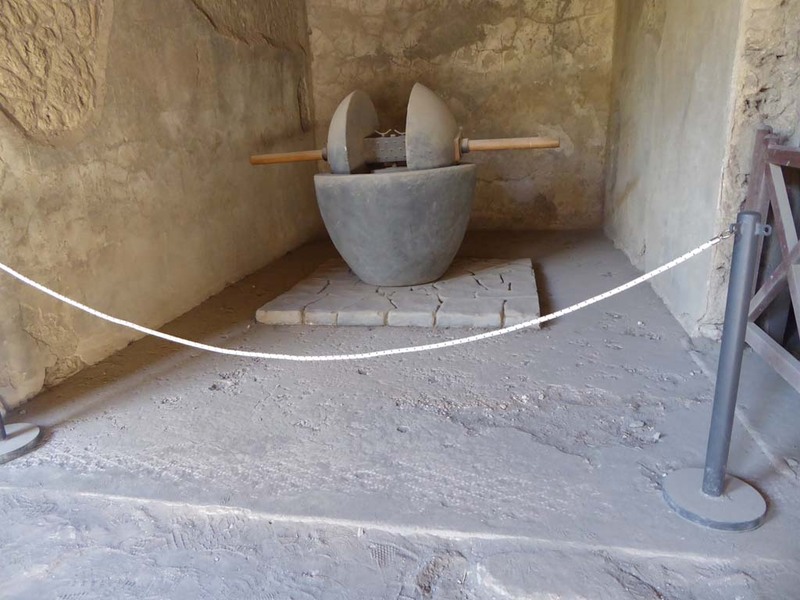 Room 8, reconstructed press. Photo courtesy of Buzz Ferebee. I.15.3 Pompeii. 1974. 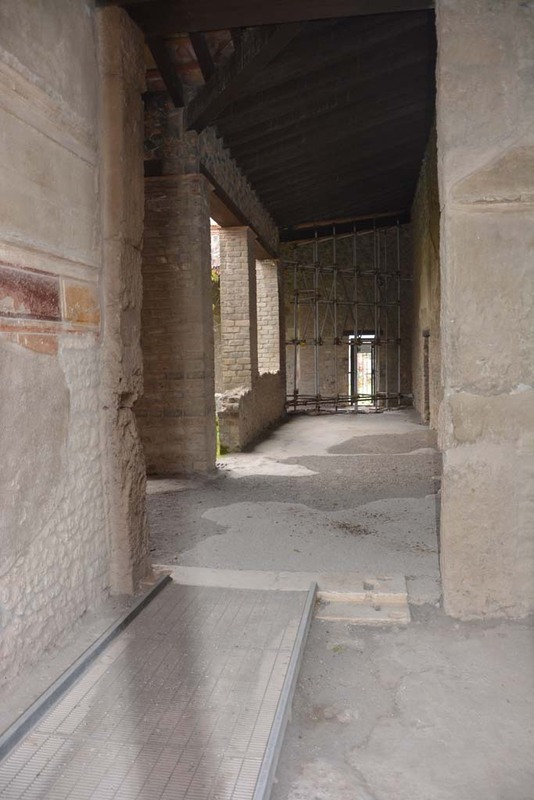 West side of peristyle, with room 8, ala on west side of entrance, without a roof. I.15.3 Pompeii. December 2004. Looking south-east across peristyle 13, from near entrance. 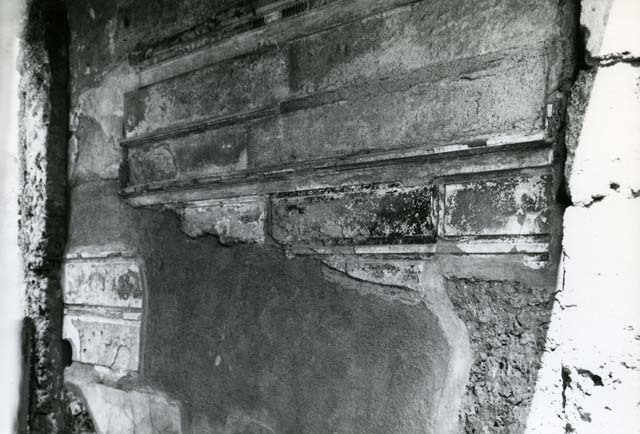 I.15.3 Pompeii, 1978. Looking south-west across peristyle 13 from north portico. Photo by Stanley A. Jashemski. I.15.3 Pompeii. 1972. 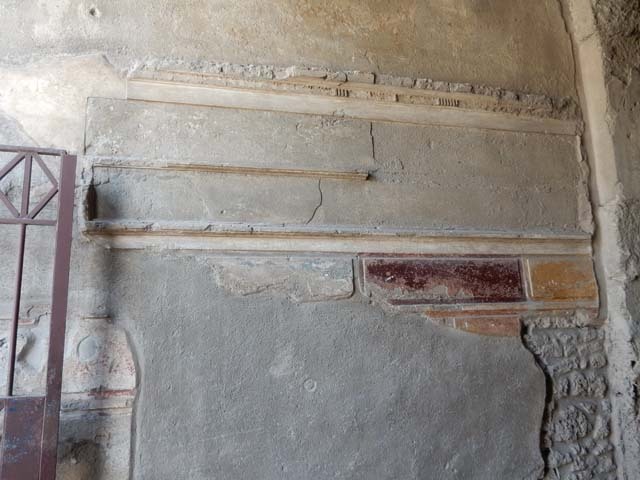 House of Ship Europa, Peristyle 13, W wall. Photo courtesy of Anne Laidlaw. American Academy in Rome, Photographic Archive. Laidlaw collection _P_72_15_11. I.15.3 Pompeii. 1968. 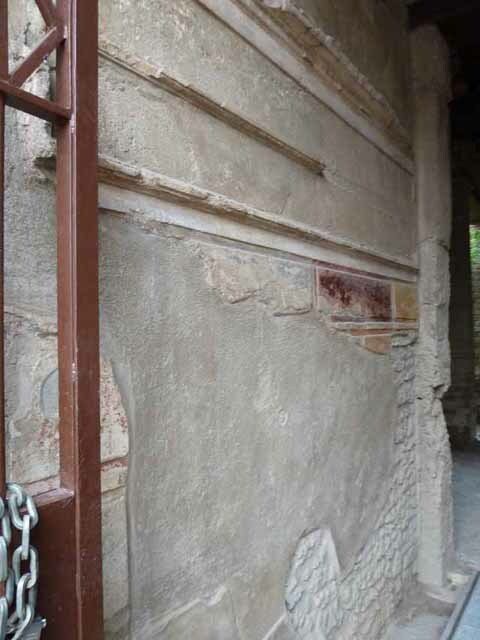 House of Ship Europa, right W side of peristyle 13. Photo courtesy of Anne Laidlaw. 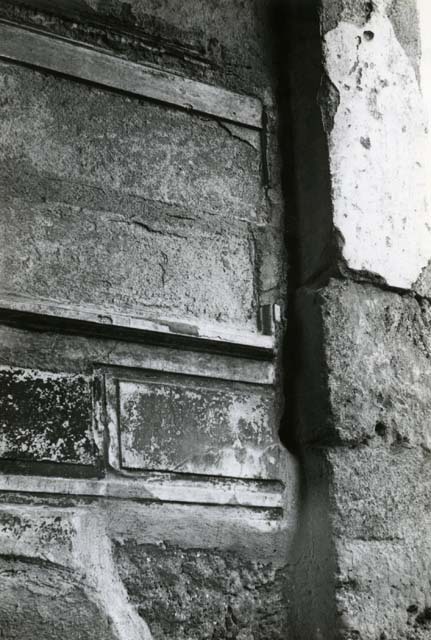 American Academy in Rome, Photographic Archive. Laidlaw collection _P_68_4_6. I.15.3 Pompeii. 1959. Looking south-east across peristyle 13, from near entrance. Photo by Stanley A. Jashemski. 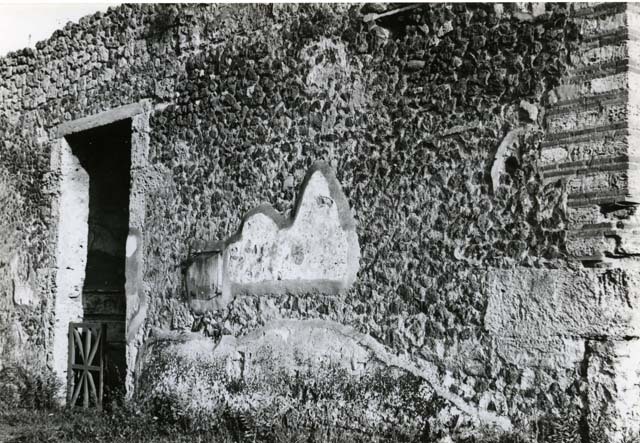 I.15.3 Pompeii. 1959. Looking east across peristyle 13. 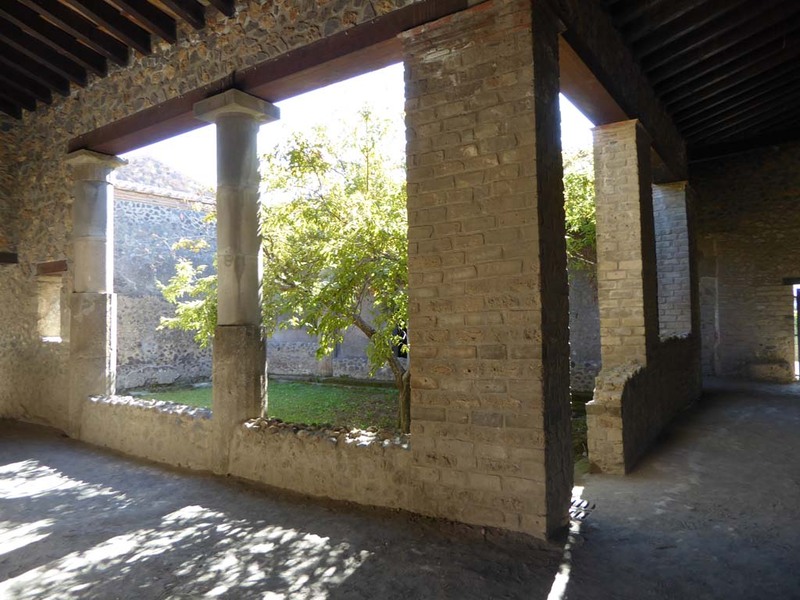 The cistern puteal is on the left of the photo.